During Scottish Apprenticeship Week last year, we published a blog about a group of eight Modern Apprentices who had been recruited by Trump Turnberry (the company took on another two during the year). A year on, we look at their progress and hear from Executive Chef Munur Kara and award-winning apprentice Paul Tyrrell. 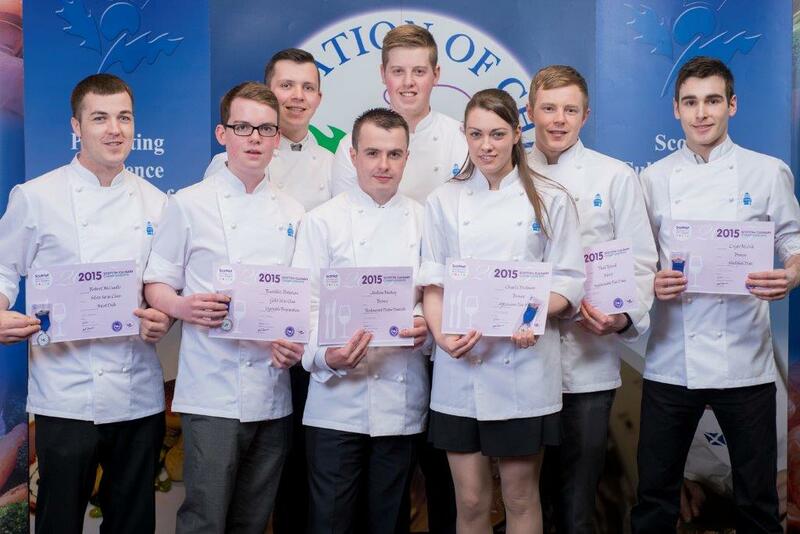 Some of the apprentices and junior chefs went on to have great success at the 2015 ScotHot Awards – Scotland’s biggest hospitality, tourism, and food and drink show with competitors come from all over the country. There were gold awards for Rury Patterson and Steve Walker, silver for Paul Tyrrell, Scott Jacket and Robert McCurdie, with Charlie Dedman, Leigh McGill, Andrew Mackay and Paul Tyrrell (scooping his second prize) receiving bronze. One of the apprentices, Paul Tyrrell, already had experience of working in London under Heston Blumenthal before he came to Ayrshire College. Although he already possessed that experience, Paul understood the benefits of going through an apprenticeship as he bids to make his way to the very top. To hear more from Paul and Munur watch this video.